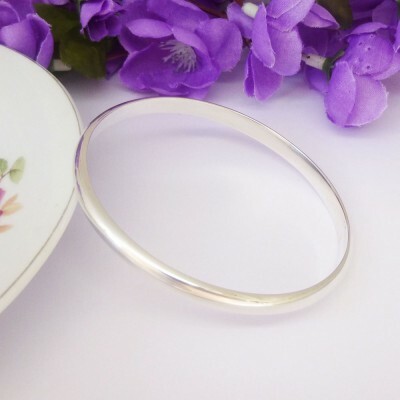 The Phoenix Solid Silver Bangle is a simple, elegant and timeless bangle that looks beautiful on and is a glamorous bangle style that all women would love to have in their jewellery box. 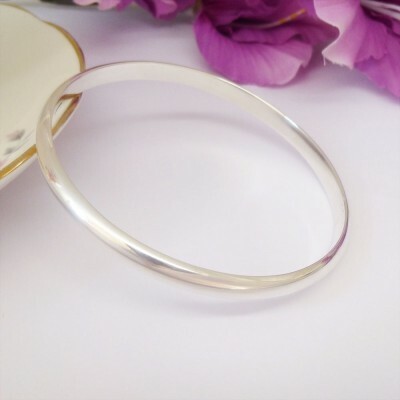 This bangle is the perfect gift to give to someone special for a birthday, anniversary or Christmas present. As the Phoenix Bangle has a flat interior, it is the ideal bangle for engraving a meaningful message, date or name to make it a truly special gift. The Phoenix Solid Silver Bangle has an internal diameter of 63mm, it is also available in small (60mm) and large (67mm). The thickness of the Phoenix is 5mm wide and it weighs approximately 28g. Subject to availability, the Phoenix is also available in small wrist and large wrist sizes. The Phoenix Large Solid Silver Bangle is handmade in the UK. 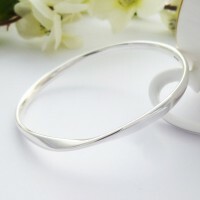 The internal diameter of the Darla bangle measures 63mm. 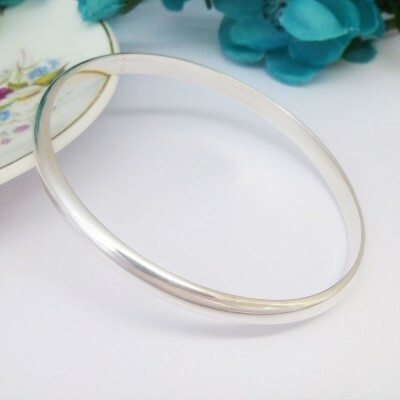 The approximate weight of this bangle is 28g.